I have read several articles recently discussing the risks of chemicals and dyes in clothing. There are children who are very sensitive to certain clothing. You will notice that they are always pulling and tugging at their clothing, tags bother them and even seams. Im not sure if the chemicals in the clothing are the cause or its a mixture of things. Because clothing is in constant contact with your skin, the chemicals are absorbed into your skin through your pores. They can then enter your liver, kidney, bones, heart and brain. 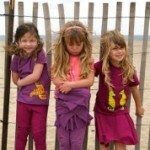 There is a clothing line for children called Tereskids that is organic, seamless and tagless and made in the U.S. 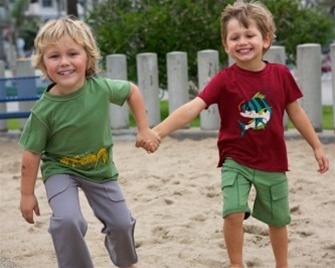 It is available at HoneyPieKids.com The clothing is very comfortable and great for children with sensory and textile sensitivities. The clothing is also very attractive and can be worn almost anywhere. I wish I knew about this line when my son was younger when he was going through this phase where his clothes bothered him. He was always pulling at his collar and waist bands bothered him. If you know someone who has a child like this mention to them about this line. There is a nice selection available here.